This is the same frame shape as Xamsa’s other “PXT” models, the Xamsa PXT 115 and the Xamsa PXT 110. 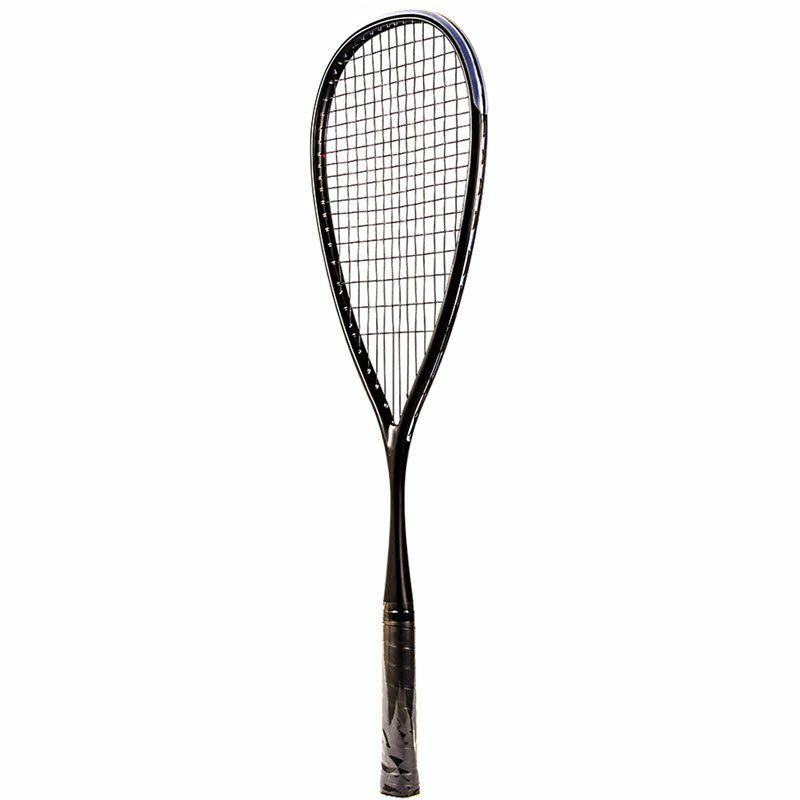 The deal with this one, as mentioned in the video, is the racket is made from Toray Japan Carbon Fiber. The bottom line is this is supposed to result in less variability in the final weight and balance of the racket. The racquet is made of 100% Toray Japan carbon fiber using prepreg technology. Prepreg is a composite material in which a reinforcement fiber is pre-impregnated with resin in a specific ratio. This allows for direct laying into a mold without having to add resin. Every racquet has the same ratio of resin with no excess or dry spots. Uniform thickness allows for all racquets to be almost identical, with the same weight and balance as per advertised specifications. What makes PXT Incognito unique is that it’s a consistently excellent racquet with consistent weight and balance for every racquet, not to mention a large sweet spot, effortless power and a sleek design. When doing research we could not find any other squash racquet on the market made of 100% Japanese carbon fiber using prepreg technology and we are still not sure as to why. Perhaps the racquet doesn’t need to be made out of such premium materials and it’s hard to justify the higher manufacturing cost which is almost twice as much as for standard racquets? Xamsa has a tradition of charging $100 for their rackets. Because of the higher material costs of the Toray Japan Carbon Fiber, this racket costs $100 unstrung, but you can get a nice stringing setup when you order the racket.